Another new addition this year is the Laura Ashley Royal Bloom . This beautiful collection of mini treasures is the perfect gift for her this Christmas. 24 mini versions of Laura Ashley's classic bath & beauty luxuries are a special festive treat whether home or away, and the pretty box can be used year after year to store your favourite family surprises. 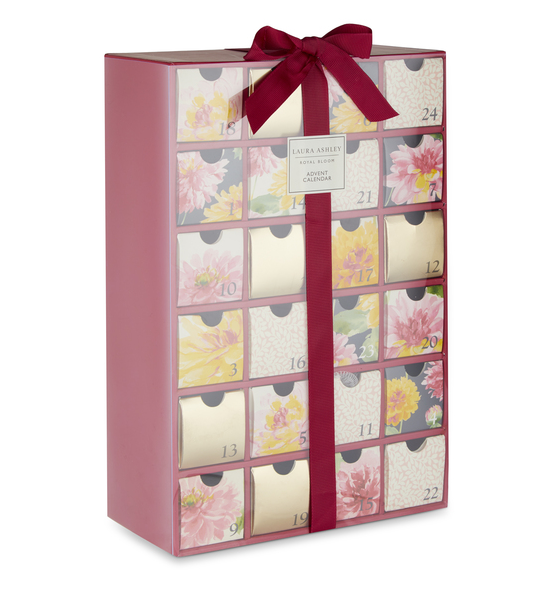 Laura Ashley Royal Bloom Advent Calendar 2017 Available Now!